Scientists at McMaster University have discovered several new biomarkers from a single drop of blood that could allow earlier and more definitive detection of cystic fibrosis (CF), a genetic disease which strikes both children and adults, causing chronic problems with the digestive system and the lungs. The findings, published online in the Journal of Proteome Research, are significant because current newborn screening methods are not accurate enough to identify the disorder in the population, which can manifest itself in many different ways, requiring additional testing and causing further stress for anxious parents. "The earlier CF is detected, the earlier it can be managed and treated, which means better health outcomes for affected infants, including their future growth and development," says Philip Britz-McKibbin, lead author of the study and a professor in McMaster's Department of Chemistry & Chemical Biology, who conducted the research with graduate student Alicia DiBattista, now a postdoctoral fellow at Newborn Screening Ontario (NSO). A tiny amount of blood is drawn from the heel of all babies as part of universal newborn screening programs that test for many rare yet treatable diseases since babies usually have no signs of disease at birth, including CF. In the case of CF, infants are screened for a pancreatic enzyme and then a panel of disease-causing genetic mutations associated with CF. However, further testing to confirm or rule out the disease finds that most babies who screen-positive do not actually have the disease. These babies are later found to be "healthy carriers" or their results are deemed to be "false positives". With this in mind, researchers set out to determine whether they could discover chemical signatures in a dried blood spot that could better distinguish infants who have CF from those who do not. Using less than a single drop of blood stored at NSO at the Children's Hospital of Eastern Ontario (CHEO), researchers analyzed and compared samples from infants confirmed to have CF with the samples of both healthy and screen positive infants. They found several new compounds as well as simple amino acids directly related to affected infants with CF who otherwise have no symptoms and normal birth weight. "These biomarkers provide new insights into the disease process early in life before symptoms are fully apparent," says Britz-McKibbin. 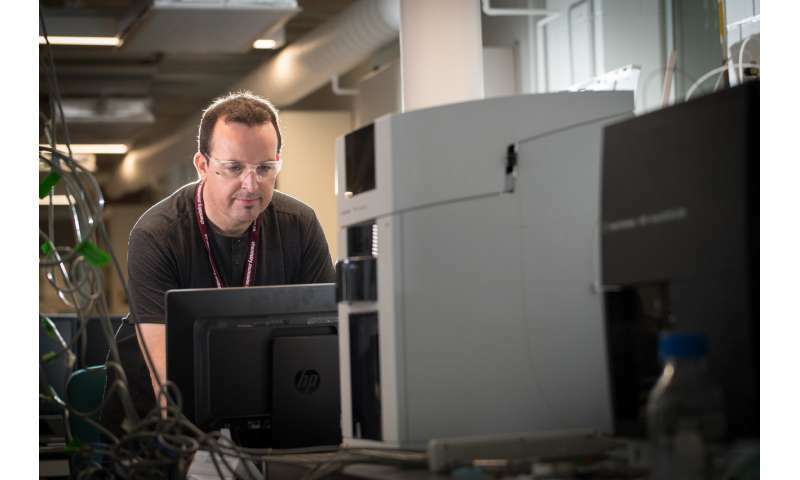 "Moreover, these compounds can be analyzed by mass spectrometry at incremental costs since it is already used for testing many other genetic diseases at newborn screening facilities around the world." "Ontario started screening for Cystic Fibrosis in April 2007, and since that time over 400 children have already benefited from early recognition and early treatment. But for every one of these children, about 10 have had a false-positive result. We want to get this number down and are very hopeful that the new biomarkers discovered by this research project will help us do exactly that," says Pranesh Chakraborty, medical director of NSO at the CHEO. In Canada, life expectancy rates have risen dramatically with the median age of survival now over 50 years, due to better treatments to improve lung function, better nutrition, lung transplants. The advent of universal newborn screening programs for CF will likely further improve the quality of life of affected patients. "We know that early detection can have significant benefits for people living with cystic fibrosis," said Dr. John Wallenburg, chief scientific officer at Cystic Fibrosis Canada. "The current screening methodologies capture a broad swathe of families that then need further testing to narrow down those that are true positives. The anxiety and distress that such further testing can needlessly cause families was a major concern that slowed the adoption of newborn screening in some jurisdictions. Dr. Britz-McKibbin's data provide insights for more specific newborn screening, as well as early manifestations of the disease."